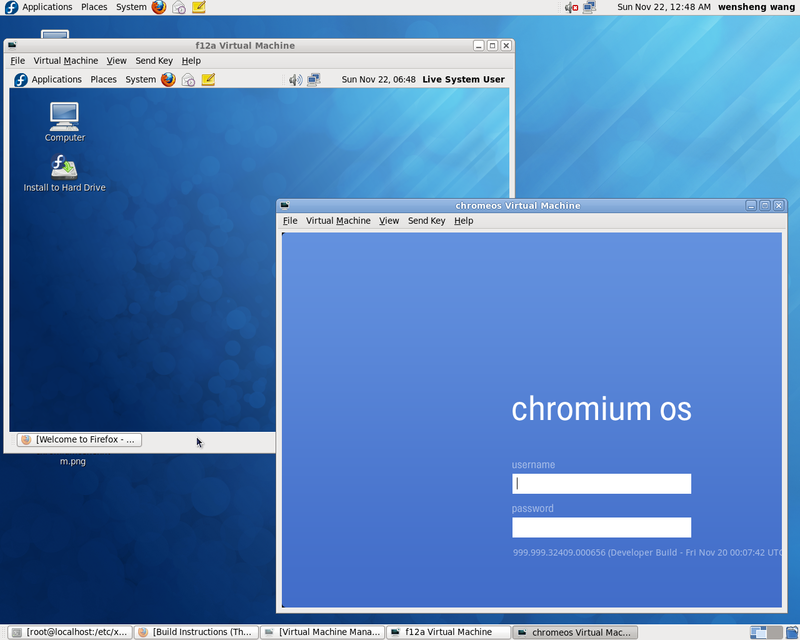 Google announced open-source Chromium OS 2 days ago. 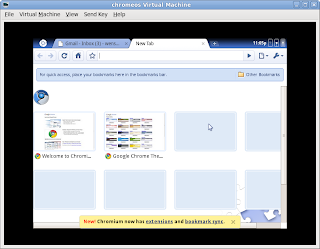 today I tried to build it on a Ubuntu virtual machine. But I failed, had numerous problems I won't elaborate. I will try again sometime later. 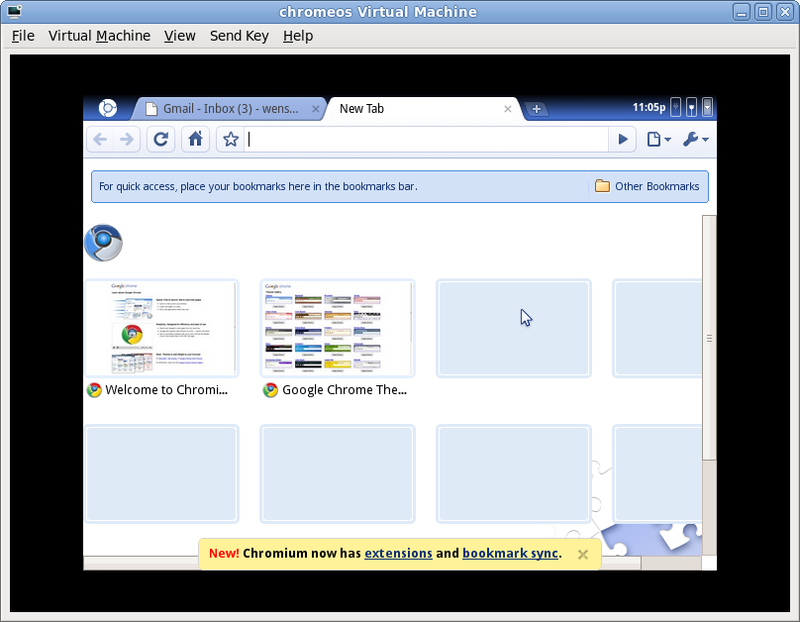 I searched web and found a VMWare virtual disk of ChromeOS here. So I downloaded it. Not wanting to install VMWare, I converted it to a raw disk image and loaded it to XEN with HVM, it worked. But it basically unusable for me mainly because of mouse movement was too slow. 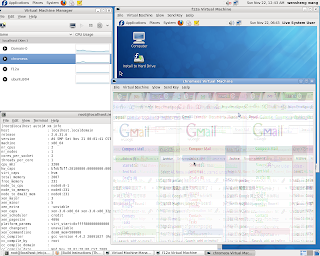 I will try with a different vnc client later to see if it improves. 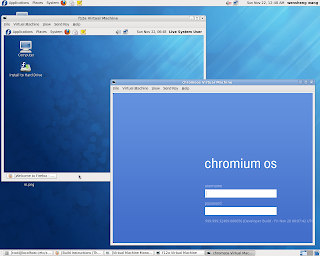 Here's chrome OS login screen, I have a Fedora 12 hvm domain and a Ubuntu 9.04 32bit domainU also running on this machine. 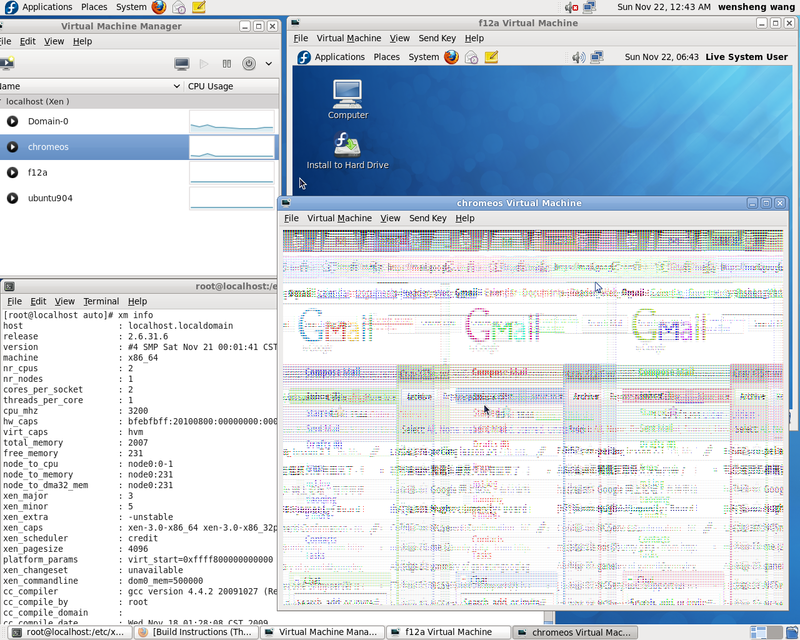 The domain0 itself is Fedora 12 64bit with pvops kernel 2.6.31.6.